Classroom The Norwegian course is suitable for beginners and for students with little previous knowledge of the language. The first semester we focus on basic grammar and use of everyday language in both oral and written production. In the second semester the students build upon their vocabulary and grammatical skills to further expand their knowledge of the language. 2 hours a week of conversational practice in Norwegian with a fellow Norwegian student. a wide variety of elective subjects, ranging from art and sports to knitting and photography. We use a wide range of teaching methods to ensure that the students will be proficient in the Norwegian language by the end of the school year. The course includes several excursions to historical, cultural and natural sites each semester. The course level is indicated with the help of the Common European Framework of Reference for Languages (CEFR) and is equivalent to Level A1/A2 in the first semester and level B1/B2 in the second semester. The school will assist sudents who want to test their proficiency in Norwegian at the end of the schoolyear. The study trips are designed to increase the students understanding of the Norwegian culture, geography and history, as well as to stimulate the development of the Norwegian language. 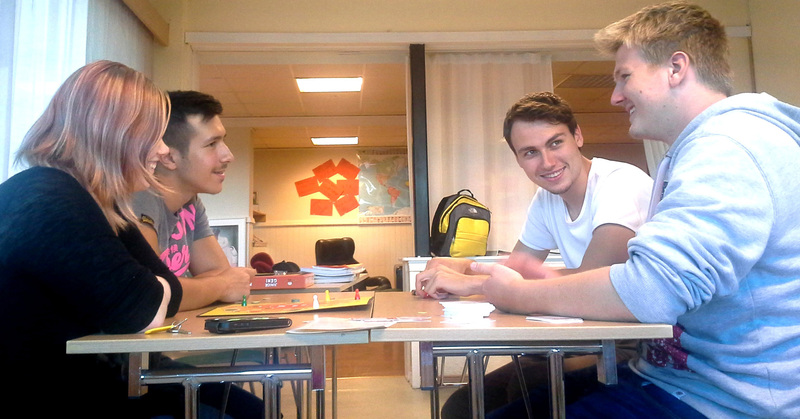 Living in a boarding school where the majority of the students are Norwegian, international students have an unparalleled opportunity to practice their newly acquired language skills and immerse themselves in the Norwegian lifestyle. Her skal du opparbeide ferdigheter og forståelse for interaktivt å skape musikk på sparket og utvikle gehør, analytisk evne og intuisjon. Tre utenlandsturer – tre temaer. Island, Thailand og Øst-Europa.